The ketogenic diet is a high-fat diet that restricts the daily carbohydrate intake to 10 to 15 grams and the daily protein intake to 1 gram per kilogram of body weight. Meat and fish are among the main sources of fat. This can make it difficult for vegetarians to follow a strict ketogenic diet. However, dairy products, eggs, soy products and vegetable oils are good sources of fat for vegetarians following a ketogenic diet. R.M. Wilders, M.D., from Mayo Clinic invented the ketogenic diet in the 1920s. The diet was primarily used to treat seizures in pediatric patients. When conventional anti-seizure medicines became more readily available, the diet received relatively less public attention. It is, however, still used to treat epileptic seizes in patients who do not respond well to standard anti-seizure treatments. The main sources of glucose, or blood sugar, are carbohydrates and protein. By restricting these sources, the ketogenic diet forces the body to use fat rather than glucose as its main energy source. Unlike most other cells in the body, the brain cannot use fat as a fuel. When glucose is limited, it switches from using glucose to using ketone bodies, a by-product of fat metabolism. As ketone bodies are more difficult to turn into energy, this switch in metabolism causes neurons to build more cell engines, or mitochondria. This increase in number of mitochondria has a stabilizing effect on neurons. This, in turn, prevents neurons from going into an over-excitatory mode, a condition that can cause seizures. When you follow the ketogenic diet, most of the calories come from fat and protein. Because vegetarians do not eat meat or fish, vegetarians who follow a ketogenic diet must get their fat and protein from other sources. Soy products, such as tofu, soy milk, soy cheese and soy beans, are a good source of protein and, sometimes, fat. Tofu producers also occasionally make meat-tasting tofu dishes, such as Tofurky, a turkey substitute. Unlike vegans, who don't eat any animal products, vegetarians can get fat and protein from dairy products and eggs. 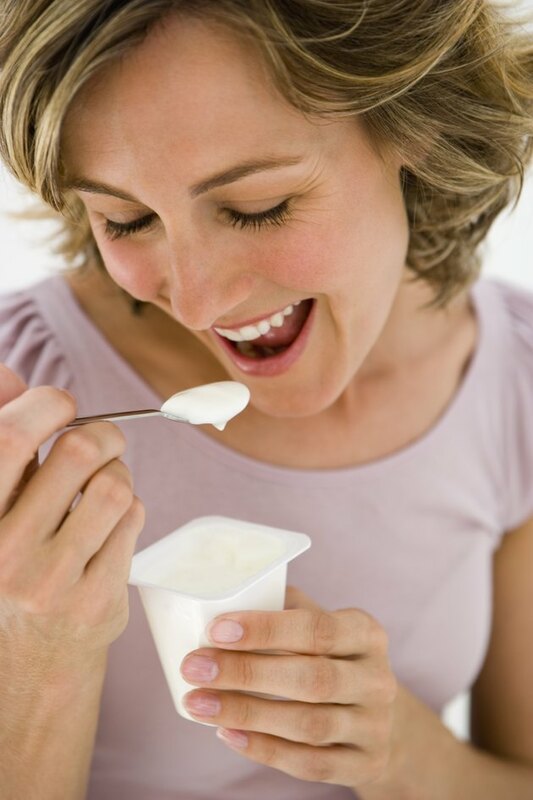 To ensure a high enough fat content, choose full-fat dairy products, such as full-fat cheese, milk and yogurt. Watch out for added sugar, a major source of glucose. Eggs contain few carbohydrates. To increase the fat content, use only the egg yolk, which has a much higher fat content than the egg white. Vegetable oils are also excellent sources of fat.